Say Cheers to another exciting San Diego Beer Week! San Diego Beer Week is a countywide celebration of the amazing local craft beer culture. 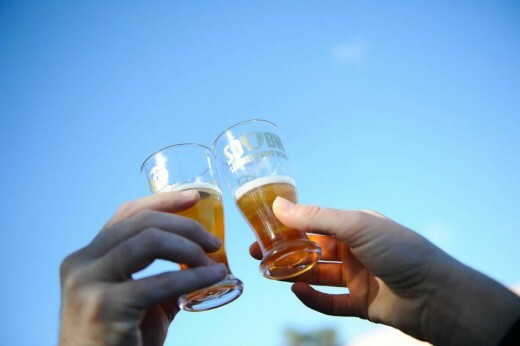 Over the course of 10 days, SDBW offers craft beer lovers the chance to sample award winning regional beers (San Diego breweries took home 15 medals from the 2012 Great American Beer Festival!) at more than 250 different events including festivals, tap takeovers, beer brunches, brewery tours, pint nights, beer releases, cask nights, beer dinners, brewer meet and greets, education sessions and more. You can find a full list of events at www.sdbw.org/events. 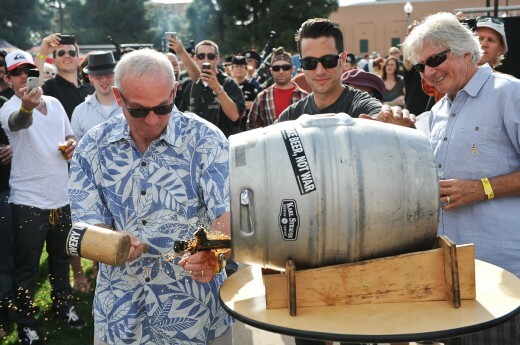 San Diego mayor Jerry Sanders taps the first keg during the 2011 San Diego Beer Week Brewers Guild Festival. The Brewers Guild Festival is SDBW’s signature event and features more than 100 different beers from San Diego craft breweries, food from local brew pubs, and live music and entertainment throughout the festival. Entry into the festival includes a commemorative 4 ounce tasting glasses, ten tasting tickets and the chance to talk to the brewers as they pour you a cold one. Tip: Save yourself the hassle and use an alternative mode of transportation to get to the festival. Take any of the multiple buses, Blue or Orange Trolley Lines, or Coaster that stop at the Santa Fe Depot, and it’s just a short two block walk to the pier. Find public transportation schedules at www.sdcommute.com. You can also easily take a taxi or Uber it. Remember to enjoy yourself and stay safe. 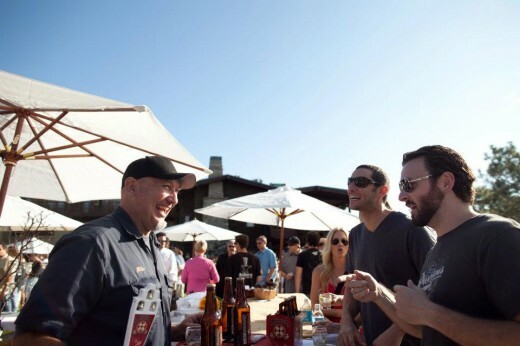 Meet the Brewers during San Diego Beer Week Beer Garden at the Lodge at Torrey Pines. To close out SDBW, The Lodge at Torrey Pines is hosting the Beer Garden, a relaxing Sunday afternoon that includes unlimited beer tastings from 20 local breweries, food pairings from 10 of San Diego’s finest chefs and a beautiful view of Torrey Pines Golf Course and the Pacific Ocean. Take advantage of one of the Signature Room ($349) or Palisade Room ($429) packages offered by the Lodge that include a one night stay and two tickets to the festival. Which San Diego Beer Week event are you most looking forward to this year?